Please click here for event album. 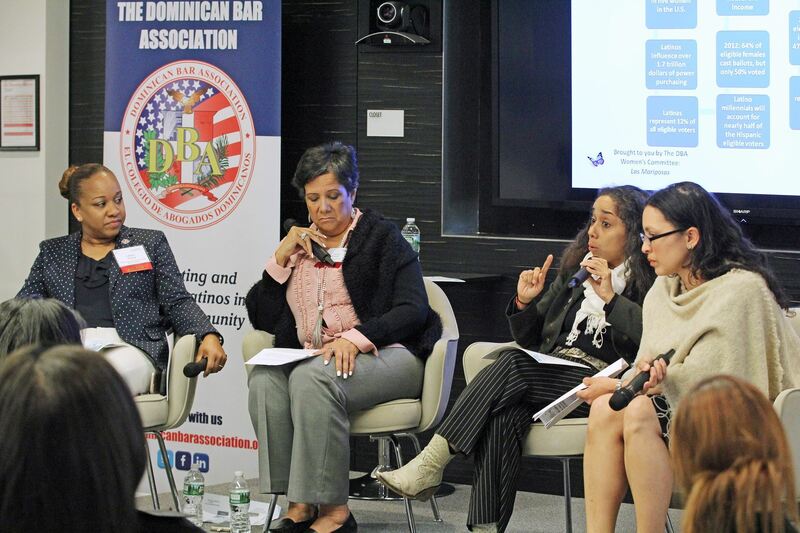 The Dominican Bar Association Women’s Committee: Las Mariposas hosted an evening panel and reception exploring the panelists’ cultural roots and their path to public service at various levels in City, State and Federal government. The event was at capacity weeks before event and engaged a lively discussion between the panel and the audience. 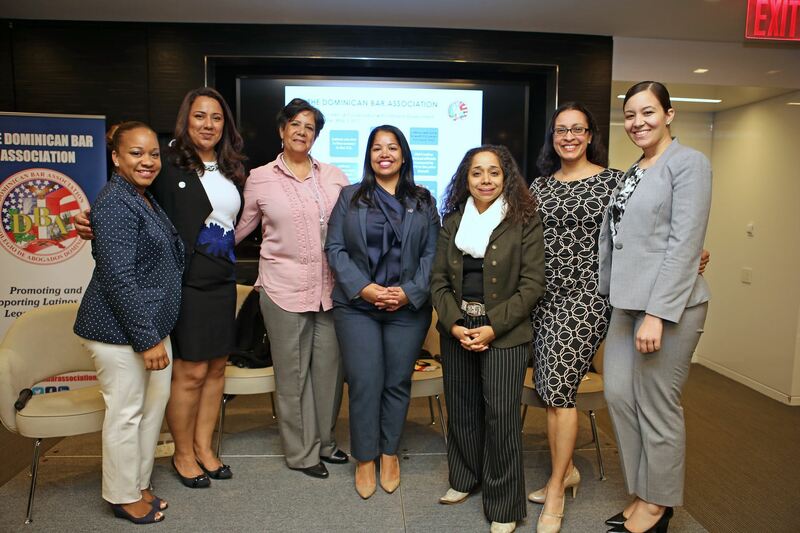 Special thanks to our dynamic Latina leaders that comprised the panel: JULISSA REYNOSO, Partner, Chadbourne & Parke LLP and Former United States Ambassador to Uruguay; LAURA ACOSTA, Deputy Chief of Staff at New York City Public Advocate; VILDA VERA MAYUGA, Chairperson, New York State Industrial Board of Appeals; and LILLIAM A. PEREZ, Senior Advisor/Deputy Director of Intergovernmental Affairs, Office of New York State Attorney General Eric T. Schneiderman. Thank you also to our Women's Committee Chair Maria Felix, committee member Massiel Ramos, and the team at Chadbourne for their assistance in putting together this event. The DBA's Let's Chat series was recognized by the New York State Bar Association with the 2017 "Bar Leaders Innovation Award."